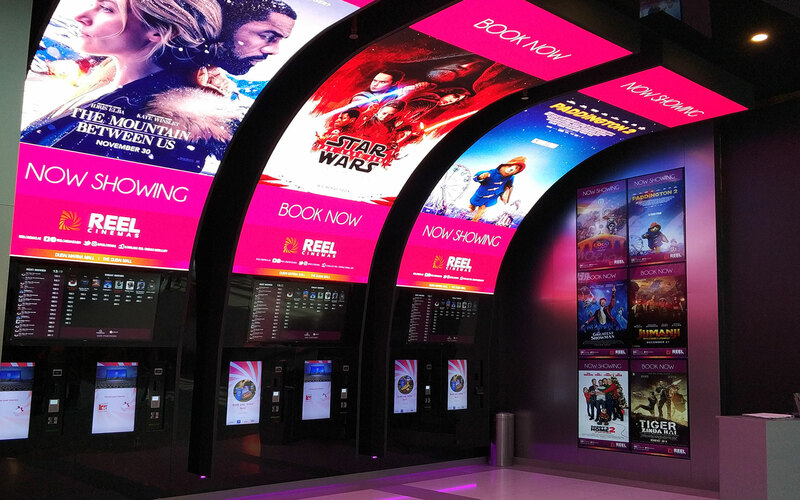 Reel Cinemas is the largest cinema operator with several branches in the UAE. 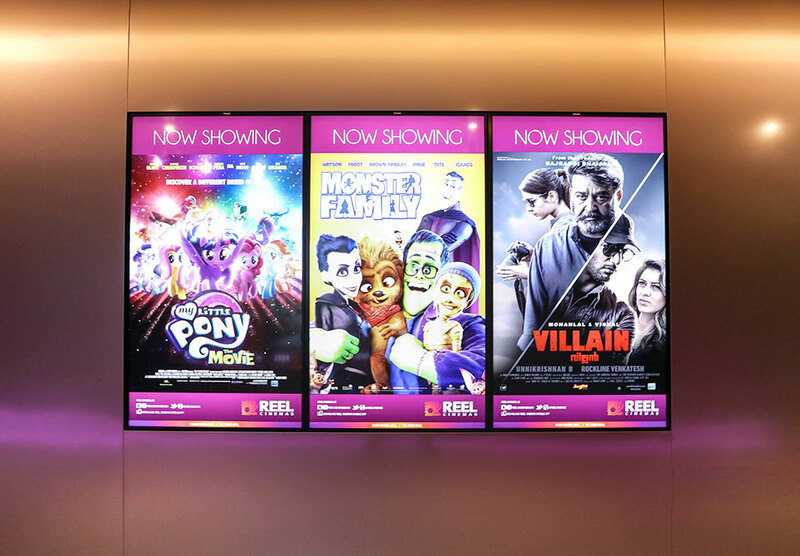 Home to one of the largest Cineplex in the UAE and the first dine-in, in the Middle East, Reel Cinemas offers a superior movie experience operated under Emaar Entertainment. 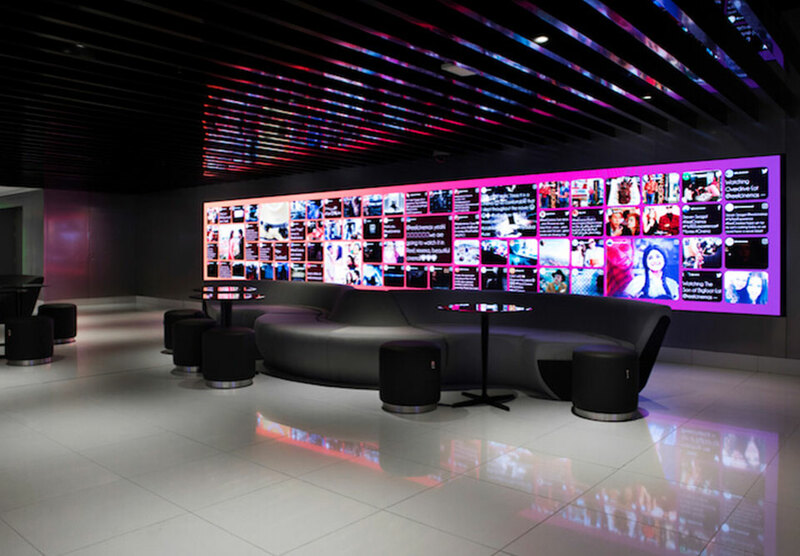 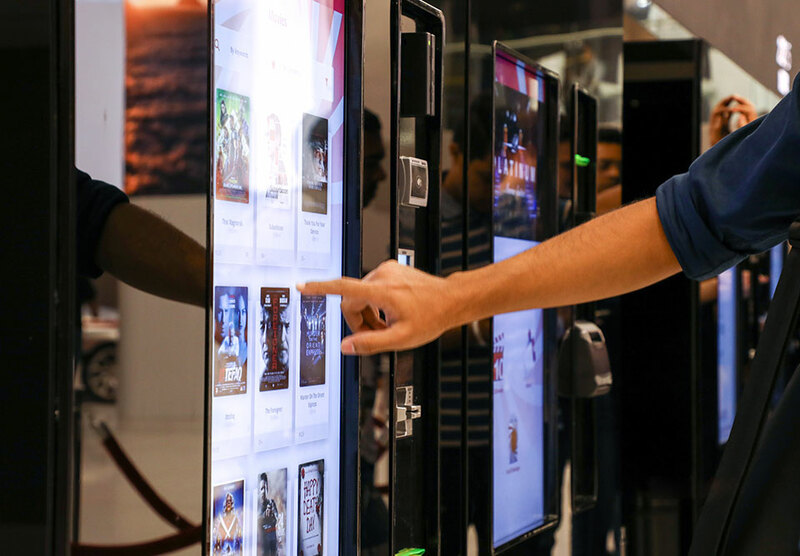 We launched and implemented an end to end customer engagement experience by tailoring fully automated digital kiosks, column LED pillars, a social wall and menu boards at The Dubai Mall and all Cinemas across Dubai. 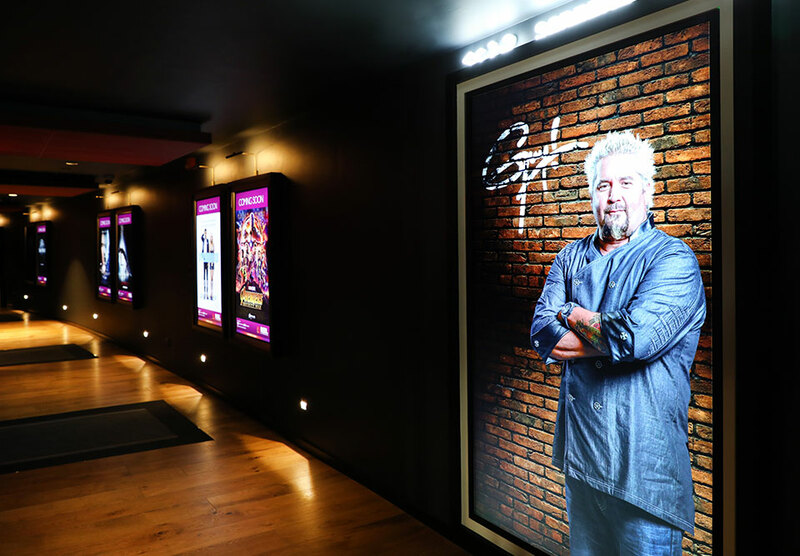 Blue Rhine Industries worked with the client to bring the brand experience to life in three dimensions. 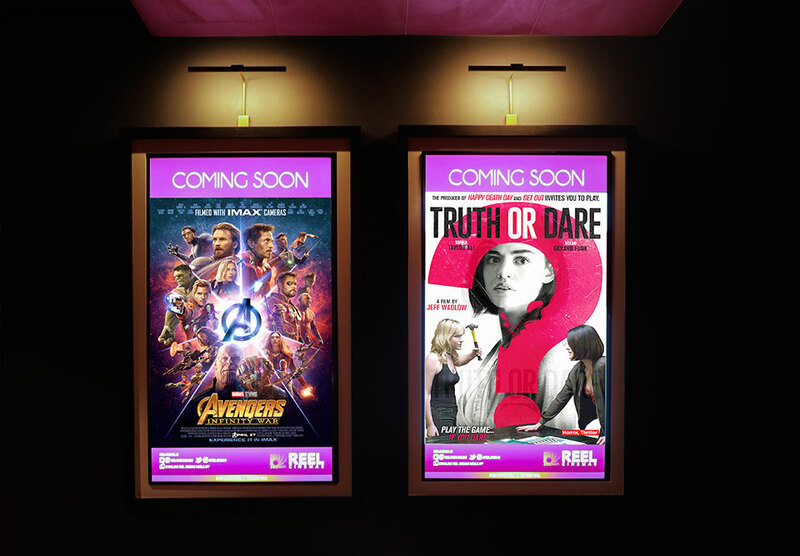 This was done through two distinct workstreams. 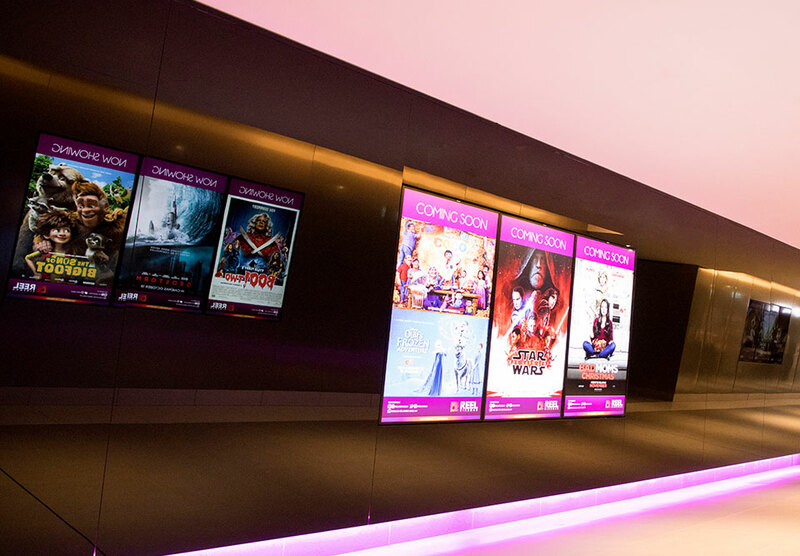 First, we were responsible for developing the concept for the digital displays including engineering specifications for curved screens, the first of their kind in the region through a series of prototypes. 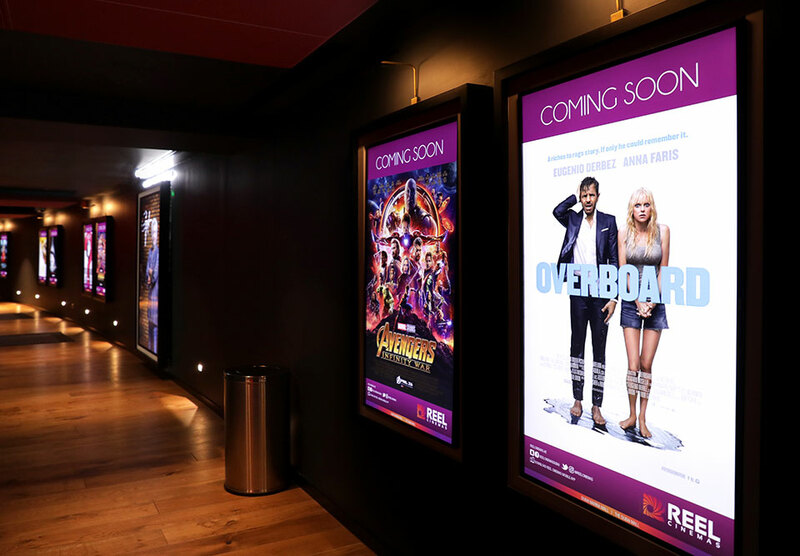 Second, Blue Rhine Industries assisted with extending the brand beyond digital displays into signage, materials and kiosks where it could be touched and experienced. 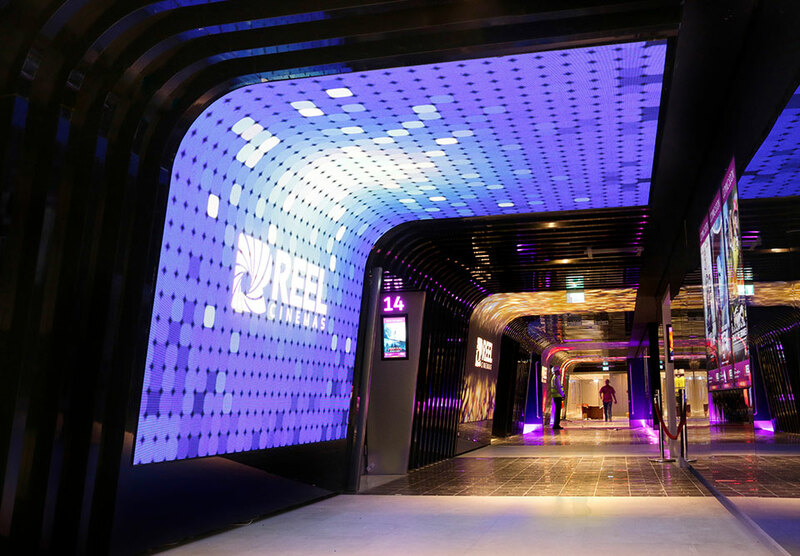 We continue to develop new digital solutions for Reel Cinemas across a broad range of bespoke shapes at their locations in Dubai.